We have finally got around to listing some of our retro enamel jewellery. 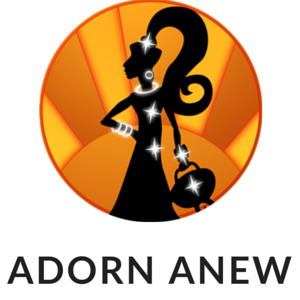 It’s been so busy at Adorn Anew, with incorporating the pins and badges from Bitz ‘N’ Bobz and the end of our financial year upon us. There are also some more Men’s Accessories on their way. The sourcing never stops! We have a lovely selection of pendants and brooches, with more still to list over the next day or so. The subject matter is mainly floral and the colours and workmanship are stunning. As the pendants came without chains or jump rings, we have provided them free so the pendants can be worn straight away. They also look good on ribbon or cord. We hope you love the selection as much as we do.